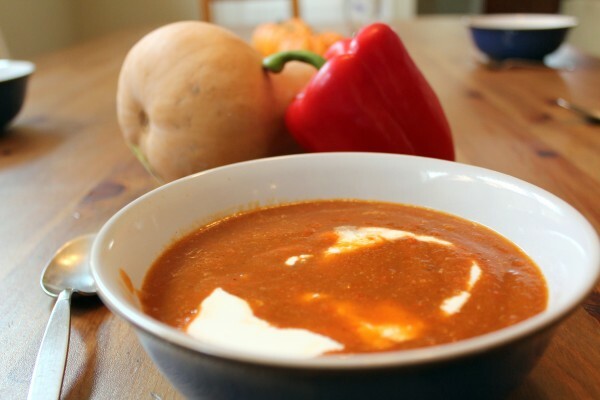 Roasting bell peppers gives them a whole new deep, sweet flavor that combines well with butternut squash into a rich, amazing soup. Full-fat cultured cream makes this a filling meal you’re sure to love. 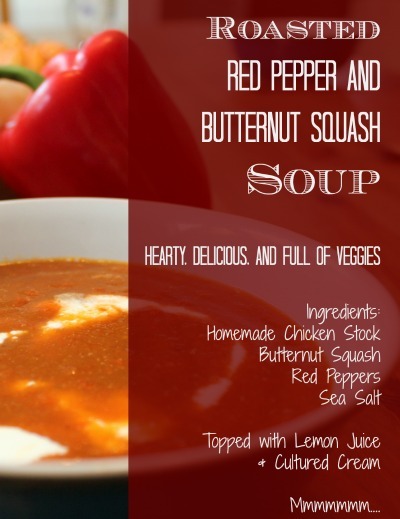 The roasted peppers and sweet butternut squash make an amazing rich and flavorful soup. Enjoy hot or cold the next day as well. Preheat oven to 400*. 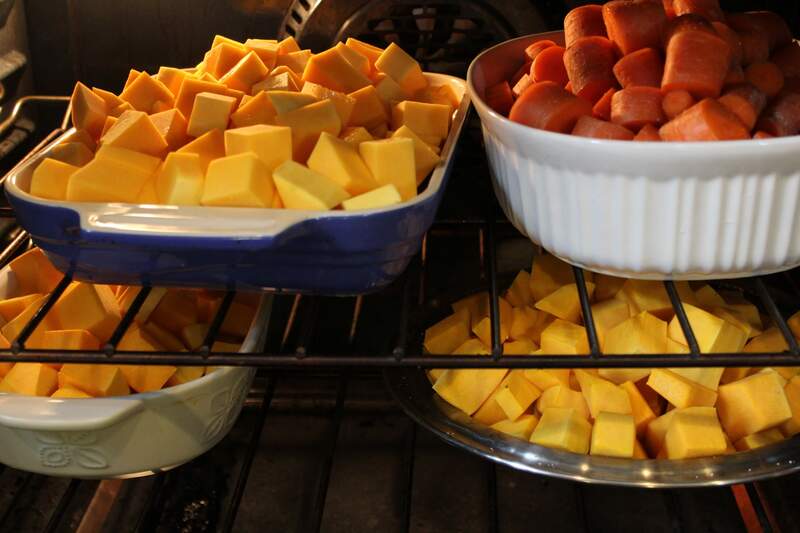 In an oven-proof stock pot, place squash cubes and de-seeded peppers. Roast for 30 minutes, the edges will start to brown on the vegetables. Using oven mitts, remove stock pot and add garlic, stock, water, and sea salt. Simmer over medium heat for 30 more minutes, or until squash is soft. Use an immersion blender to puree the soup right in the stock pot. Add the juice of the lemon right before serving. Serve coconut flour bread slices with butter and/or homemade jam alongside the soup. Store leftover soup in the fridge for lunch tomorrow. GAPS Intro: Omit lemon and cream. Want to have this soup available instantly? Throw a few red peppers on your baking sheets next time you roast vegetables for Soup Packs, and you’ll be good to go!